Fresh, clean water is an amenity we should never take for granted. That’s why it’s important to make sure your water systems are cleaned or repaired when needed. If your business is located in a rural area and you notice something wrong with your water supply, you’ll want to make sure a licensed professional knows exactly what they need to do to fix the problem. Water is an essential resource that you and your employees will need to keep doing their job well. If you want to make sure the water maintains its good quality and you wish to profit from controlling your own water supply, you need to contact an Oakland County well drilling service. If your business still relies on a water delivery company, you may already know the struggles of dealing with a water shortage or paying the company extra to take care of piping services. Water well drilling will grant you a large water supply that will operate properly as long as it is maintained. Fortunately, well maintenance checks are more reliable than they are costly. Their purpose is to check if there are any issues so they can be caught before they become a more expensive problem. Additionally, having the water quality frequently checked will be in your business’s best interest. Businesses that are eco-friendly have the most memorable reputations. Investing in a well drilling service can supply you with geothermal power. Not only is this alternative power source cost-effective, it also brings absolutely no harmful effects to the environment. If you want to profit from this, it’s best to contact a professional service that has up-to-date and reliable equipment. They’ll know how to prepare for any natural hazards that could ruin your water supply. To receive the best benefits from this service, make sure it gets done right with the professionals. When you hire a water well service company, you won’t be disappointed with the thoroughness that comes with finding a clean water supply. These professionals will test the water’s taste, smell and color. They’ll also check for any dangerous bacteria or toxins. These tests are necessary for the sake of your health. They will also make sure the water won’t have any minerals that could damage your plumbing. You and your employees will be able to work in great health and be anxiety-free. You’ll also impress your clients with the steps you take to keep your water supply sanitary. After all, nothing gives a better impression than showing you care about your employees and customers. 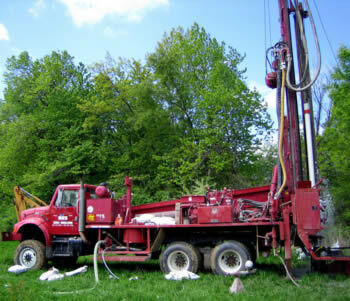 If you have a business in a rural area, taking an interest in a Michigan water well service will be a great decision. The benefits and increased independence your company can benefit from bring great opportunities to save money and improve efficiency. 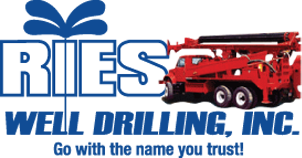 For more information on water well service and repair, contact Ries Well Drilling and get your well water concerns attended to.